Adventures in Automation: New published article! 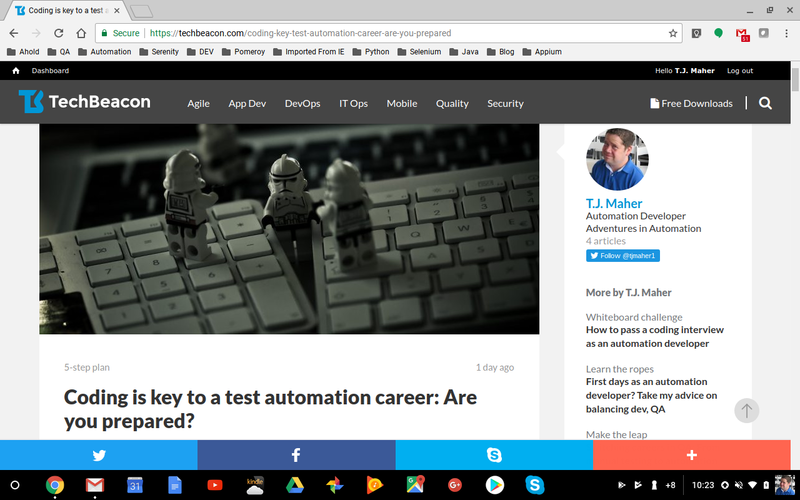 "Coding is key to a test automation career: Are you prepared?" New published article! "Coding is key to a test automation career: Are you prepared?" I just published my fourth article for TechBeacon! Want to know all the resources I have used to study automation development? Give it a read! As Always .... Happy Testing!